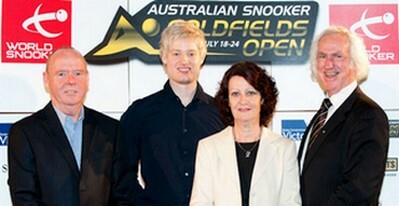 A new ranking event, Australian Goldfields Open is confirmed to stage in Australia this summer. The Victorian Government, IMG Worldwide and World Snooker signed a three-year deal for this new tournament. The tournament will run from July 18-24, 2011 at Bendigo Stadium, Victoria. Australian Goldfields Open is the first ever ranking event to be staged in Australia. It also replaces Shanghai Masters which holds in September to become the first ranking tournament of the season. The 7-day tournament will feature 32 players including the top 16 seeds and 16 by qualifying in June 27-30 at World Snooker Academy in Sheffield. 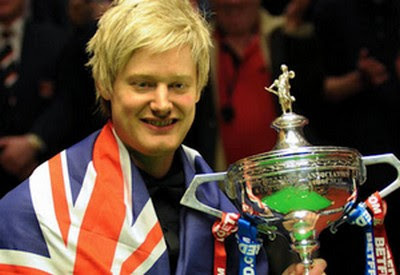 Neil Robertson, 2010 World Champion and currently ranked No 5, said: "This is a long-standing dream come true for me, as I am sure it is for many snooker players and fans in Australia. To have a world ranking event in my home state will be just unbelievable and I hope to get a lot of support. "I know some of the other players are excited about coming to Australia and I'm looking forward to showing them around. It's fantastic to see snooker becoming much more of a global game - it looks like we'll be clocking up a lot of air miles in the next few years!" Many of snooker's top stars are looking forward to the tournament. The newly crowned World Champion John Higgins said: "It's great news that we are going to Australia. I won my first tournament, the Australian Masters, over there when I was 18, and I've not been back since. I'm delighted to have the chance to return for the tournament. I'll be playing in the World Cup in Thailand and going straight from there to Australia so it's going to be a brilliant time!" Snooker went globalization in this few years. We had a new ranking event, German Masters staged in Berlin, Germany in 2010. Moreover, we will have two more overseas events in 2011/2012 season - World Cup will return after 10 years in this July in Thailand along with New Brazilian Masters in Brazil.